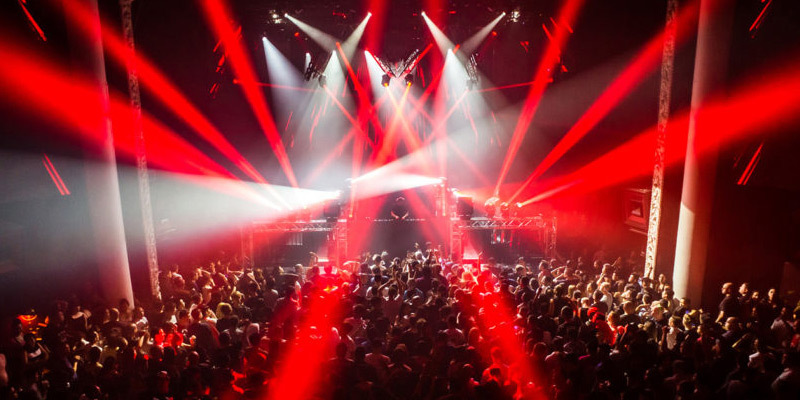 When Los Angeles’ hottest dance club, Avalon Hollywood, books a world-famous DJ like Markus Schulz to spin a raging 9-hour set, they need a first-class lightshow to give the visual excitement to match the music. Avalon Lighting Designer, Richie Worboys, relies on the ADJ Lighting Vizi Series moving heads to give him the performance and looks he needs for this type of world-class dance event. The first weekend of September, Avalon Hollywood hosted world-famous DJ/Remixer/Producer, Markus Schulz for a marathon EDM set called, “Open to Close,” where the German born Schulz, famous in the electronic dance music industry with six mix compilations, four artist albums and a host of remixes for the likes of Depeche Mode, Madonna, Everything But The Girl, Fat Boy Slim and more, played a solid nine hour heart-pounding set of dance music to a sold out crowd of 1,500 dance music fanatics. Up on the massive ceiling hanging from a large truss structure, Worboys uses sixteen Vizi Hybrid 16RX fitted with the Philips 16R discharge lamp, and ten of the ADJ Inno Color Beam Z7; an LED wash fixture that adds color texture to the dance floor. The 16RX, also a hybrid moving head, allow Worboys to create a myriad of beams styles, GOBO patterns and looks that give texture to the entire club. At the back for the club, high above the balcony, and on the gigantic sides walls, Worboys strategically placed ADJ Vizi Beam 5R fixtures to point towards the stage. By doing this, he projected light beams coming from all directions; front, rear and from above the crowd.